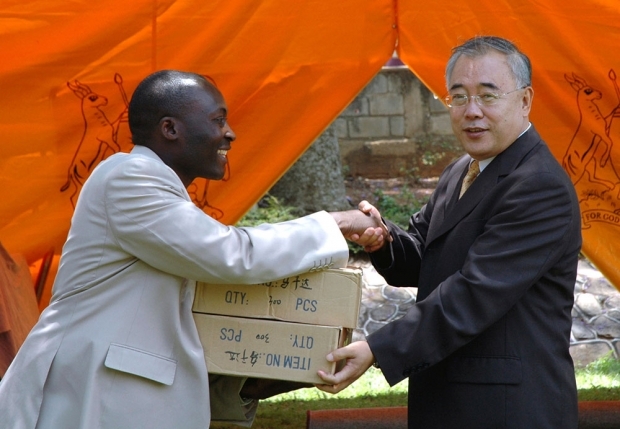 Chinese Ambassador to Uganda Sun Heping, right, hands donations to a Ugandan official at the unveiling ceremony of the Entebbe-Changsha Model Primary School near Kampala, September 2009. The school was jointly funded by Changsha City of China’s Hunan Province, the Ugandan government, and the municipal government of Entebbe. The U.S.-based online news site Quartz is among a growing number of international media companies that is investing resources to better cover Africa. The company launched Quartz Africa in June 2015 with the opening of a new bureau in Nairobi and the deployment of a small team of journalists. Among those assigned to Kenya was Lily Kuo, who previously reported for Quartz from Hong Kong. As a former China-based journalist who now lives and reports on Africa, Lily is among the first reporters on the continent with a distinctive background in Sino-African relations. Although she doesn’t focus exclusively on China-Africa stories, it is most definitely a prominent theme of her coverage. Lily joins Eric and Cobus to talk about the opportunity and challenges of covering the China-Africa story.